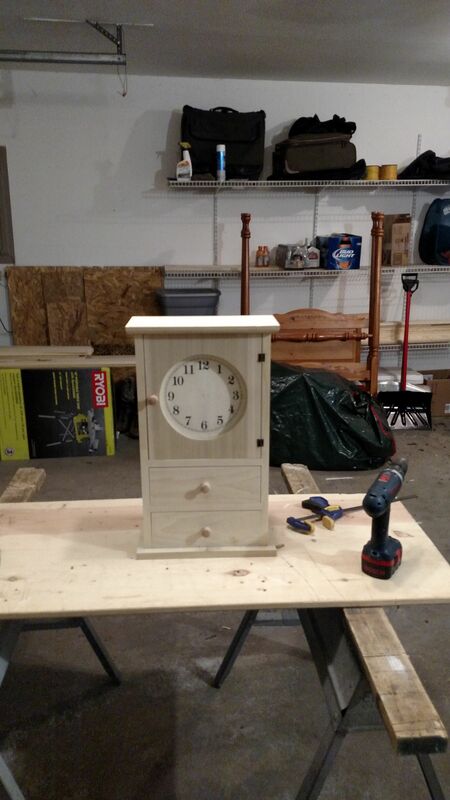 This is a small shelve clock built from popular. It has battery powered clock works. It will be painted customers color choice. Will also build in stain grade wood but price will vary.